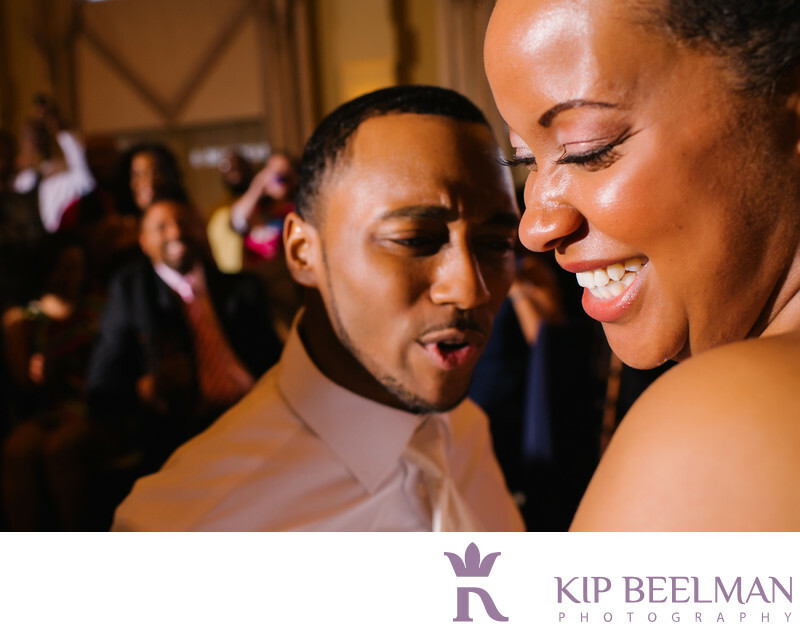 Don’t you just want to know what the groom is saying or singing to his new bride in this incredible close-up moment? Justin Timberlake has nothing on this guy. This soulful Avanti Mansion wedding photograph offers a glimpse at a gorgeous day that was full of song and celebration. Taking place in Buffalo, New York, the church wedding ceremony was filled with singing, spiritual music and praise. A party shuttle bus took us from the church after the ceremony to capture the city – we took photos at iconic Buffalo City Hall, Shea's Performing Arts Center, the Outer Harbor and Tift Nature Preserve to create a picture of Buffalo and a picture of a happy couple on a beautiful, sunny and happy spring day. The reception that followed at the Avanti Mansion was one-of-a-kind with great music and great ambiance. Avanti Mansion, western New York’s premier event venue, is dedicated to turning dreams into realities with artful food, sparkly chandelier lighting, sumptuous gardens, a champagne toast and the luxury of celebrating the good life. This image is a great example of how I like to get close to the action with my 35 mm camera. At this moment, the groom was engaged in a very elaborate tease of a dance to “Suit & Tie” by Justin Timberlake to get the bride’s garter, and the fun and the party continued from there. The bride, the groom and their guests had a lot to sing about and a lot to celebrate that night. Location: 4409 S Park Ave, Buffalo, NY 14219. Keywords: Avanti Mansion (3), Buffalo (3), Church Wedding (21), Estate wedding (24), New York (3).